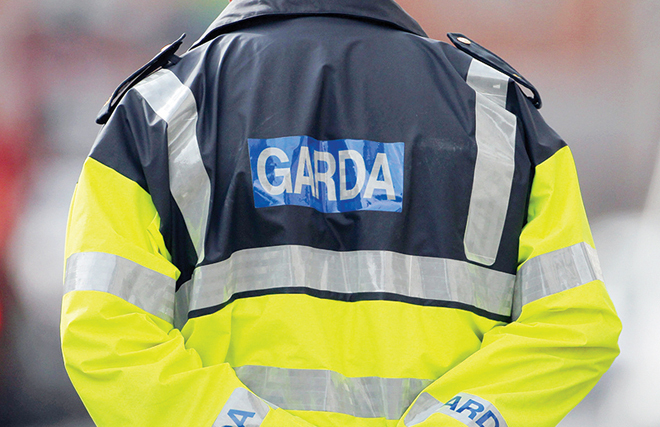 Gardai are hunting a ‘very aggressive’ man who held up two Inishowen filling stations, threatening staff with a knife before making off over the border with significant sums of money. A forecourt attendant in Muff was left ‘severely traumatised’ after the suspect, described as being six-feet tall with a ‘strong Derry accent’, brandished a blade at him and demanded cash shortly after 5pm on Tuesday. In an earlier incident the hooded man, waving a knife, burst into a shop at Quigley’s Point and stole a sum of money from terrified staff behind the counter. Superintendent Eugene McGovern said both incidents were ‘horrific crimes’. The individual, who appears to have acted alone, is also understood to have considered targeting a number of other local business, including at Muff and Moville, where he was observed acting suspiciously by a number of members of the public. He first entered the Point Service Station in Quigley’s Point at 5pm and demanded cash from two female employees at knifepoint. The man then made off, with a sum of money, in a stolen white transit van in the direction of Muff, where he robbed a petrol pump attendant at the Texaco filling station in the village. The Muff employee, described as an ‘older man’, was left ‘severely traumatised’ following the incident as the attacker became ‘very aggressive’ towards him. Appealing for information from the public to help catch the suspect, Buncrana Superintendent Eugene McGovern said both robberies were ‘horrific crimes’. “The robber was wearing a fluorescent jacket over a hoody and black leggings under blue jeans. He was very aggressive with the man on the forecourt in Muff. He was very aggressive towards him while brandishing the knife,” he said.